Completely gorgeous and exactly same as pictures!! Carolina Valerio has rated on date 04/24/19 as RecommendedCompletely gorgeous and exactly same as pictures!! with 4.5star. I do not get all the hype about this pallet! It is an absolutely beautiful pallet, my favorite is Cube. it is not a cheap pallet made with fillers but it is very high end, high quality and nearly pure pigment. So you can\'t treat it like you bought it at the dime store. I have no regrets and will buy it again if I can. Ms Wilkerson has rated on date 04/17/19 as Amazing qualityI do not get all the hype about this pallet! It is an absolutely beautiful pallet, my favorite is Cube. it is not a cheap pallet made with fillers but it is very high end, high quality and nearly pure pigment. So you can\'t treat it like you bought it at the dime store. I have no regrets and will buy it again if I can. with 4.5star. I do not get all the hype about this pallet! It is an absolutely beautiful pallet, my favorite is Cube. it is not a cheap pallet made with fillers but it is very high end, high quality and nearly pure pigment. So you can't treat it like you bought it at the dime store. I have no regrets and will buy it again if I can. My friend got this palette for her birthday and I became obsessed. I saw it at Tjmaxx and immediately bought it. I’m glad I didn’t read/watch the reviews first because otherwise I probably wouldn’t have bought it then. There are soo many terrible reviews about the blending and the fallout/kickback, which yes it does have a lot of fallout, but I find that most palettes do so it doesn’t bother me. The colors are beautiful and pigmented. You do have to build up some of the colors but they are still so beautiful! If you don’t mind these things then this palette is great for you! If you’re a beauty junkie and don’t like that stuff then I’d skip on this product. All in all, I love this palette. Anastasia never fails to impress me! Olivia Collier has rated on date 04/10/19 as Different for everyoneMy friend got this palette for her birthday and I became obsessed. I saw it at Tjmaxx and immediately bought it. I’m glad I didn’t read/watch the reviews first because otherwise I probably wouldn’t have bought it then. There are soo many terrible reviews about the blending and the fallout/kickback, which yes it does have a lot of fallout, but I find that most palettes do so it doesn’t bother me. The colors are beautiful and pigmented. You do have to build up some of the colors but they are still so beautiful! If you don’t mind these things then this palette is great for you! If you’re a beauty junkie and don’t like that stuff then I’d skip on this product. All in all, I love this palette. Anastasia never fails to impress me! with 4.5star. olivia has rated on date 04/05/19 as great colorsgreat quality with 4.5star. 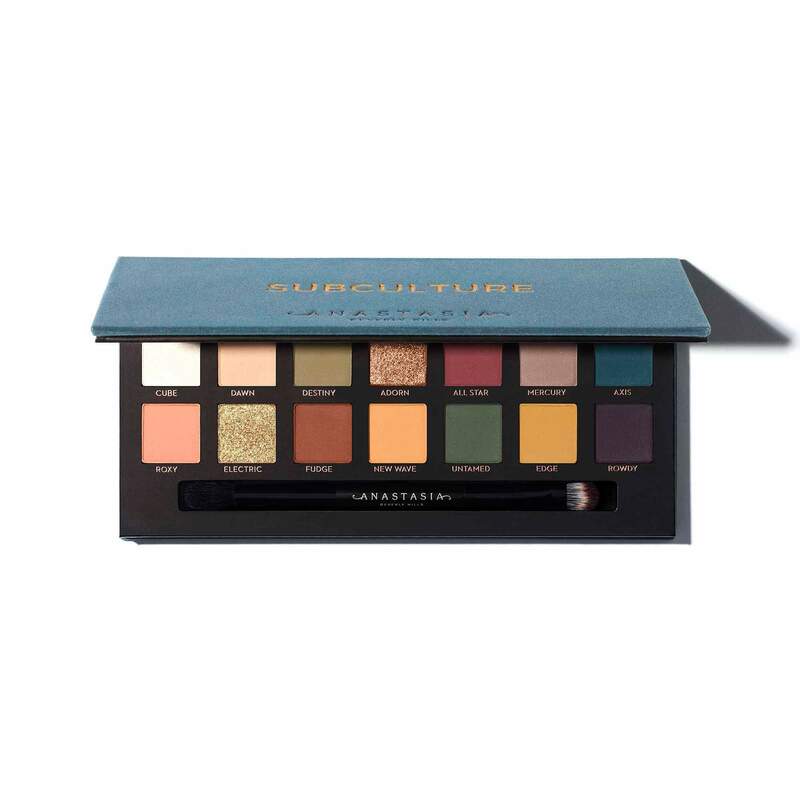 I bought this \"Subculture Eyeshadow Palette\" as a gift for my wife. Selecting a make-up product for one\'s wife can be a colossal faux pas, but thank God she liked it. She says that the colours are somewhat darker compared to the pics on Anastasia\'s website, but are of excellent quality. She has liked all colours and very happy over my purchase. A Feroze has rated on date 04/05/19 as Excellent Quality- Good ColoursI bought this \"Subculture Eyeshadow Palette\" as a gift for my wife. Selecting a make-up product for one\'s wife can be a colossal faux pas, but thank God she liked it. She says that the colours are somewhat darker compared to the pics on Anastasia\'s website, but are of excellent quality. She has liked all colours and very happy over my purchase. with 4.5star. I bought this "Subculture Eyeshadow Palette" as a gift for my wife. Selecting a make-up product for one's wife can be a colossal faux pas, but thank God she liked it. She says that the colours are somewhat darker compared to the pics on Anastasia's website, but are of excellent quality. She has liked all colours and very happy over my purchase. The darker, edgier complement to Modern Renaissance, Anastasia Beverly Hills Subculture Eye Shadow Palette features 14 full-pigment shadows that range from grungy ultra-mattes, duo chromes, and bold metallics with an underground vibe. This intriguing eye shadow collection features ABH’s highly pigmented, easy-to-blend formula and offers a unique color range that complements any skin tone. Create a smoldering, smoky winged liner by buffing Axis or Rowdy into the lash line. Wash Roxy over the lid and then blend out All Star along the lower lash line to create a dramatic look with a pop of color. Prime lids with a self-setting or matte-finish primer rather than cream or emollient-based primers. For duo chrome and metallic shades, a shimmer base can also be used to amplify the shadow, like the shimmer end of Highlighting Duo Pencil. If using concealer as a primer, apply, let dry and set with powder before applying your shadows. Then, pat or pack on color; for added intensity, layer more shades over blended shadow. When applying the duo chrome or metallic shades Cube, Electric or Adorn, first mist a small, flat synthetic eye shadow brush with a setting spray prior to dipping into the shades for an intense color payoff. When applying the shades dry, use natural-hair eye shadow brushes or clean fingertips for maximum intensity. 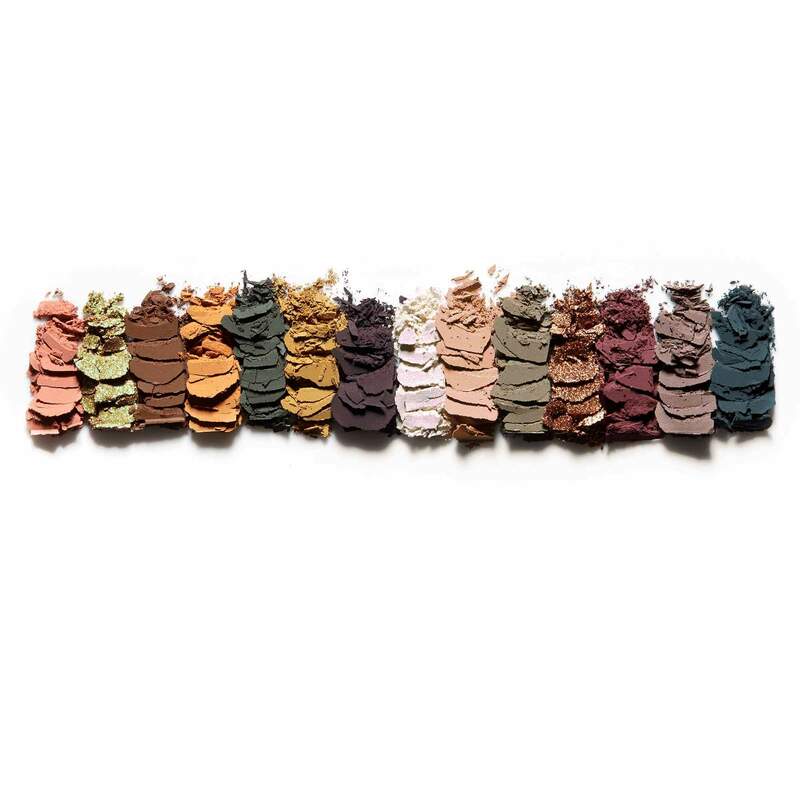 When applying the ultra-matte shades (Dawn, Roxy, Destiny, Fudge, All Star, Untamed, Mercury, Edge, Axis, Rowdy, New Wave) use brushes with densely packed fibers for maximum color deposit and fluffy brushes for seamless blending.